Connected to the power after packaging, dedicated to all light foam, loose material packaging. It can be used in cotton, wool, waste paper, waste paper box, waste paperboard, yarn, plastic, cloth, woven bag, knitted cashmere, hemp, sack, top, hair ball, cocoon, silk, hops, , Waste plastic bags and all the light foam, loose material. It is a necessary production tool for cotton producing areas, textile enterprises, supermarkets, garment factories, waste materials recycling industry and other light industrial enterprises. Machine dimensions mm: length 1700 * wide 1400 * high 3900. 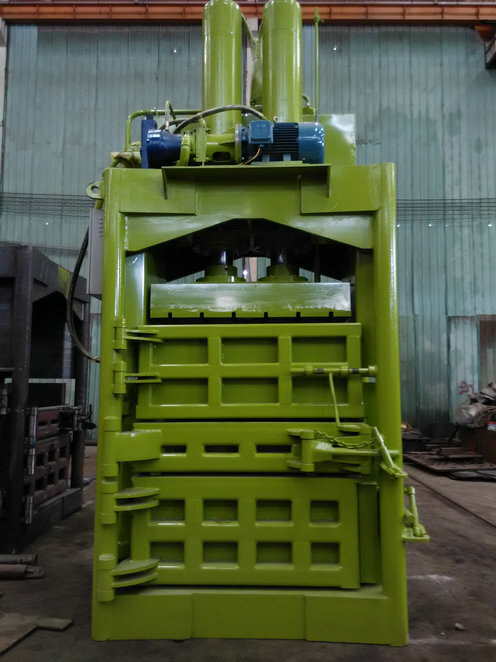 The factory is equipped with 68 # hydraulic oil, connected to the power supply three-phase 380V, rated current of 25A, the installation should be ground protection, the motor should be operated in accordance with the direction shown to be activated, or can not start. The tank to join the 150 kg of hydraulic oil can be used to start. But when the temperature drops when the hydraulic oil concentration, the machine can not play a filter filter, then the filter must be removed until the temperature is restored before the new installation and use. (Note: the filter should be cleaned 1-2 times per month). Overflow raft - control the machine's pressure switch, rotary pressure hand turn right to pressurized, turn left to decompression, the factory has been adjusted before the pressure. But in the course of the use of pressure handwheel may have a displacement phenomenon, resulting in increased or decreased pressure, then need to add a new regulation of pressure, pressure should be carried out in the operation, while the pressure plate to the lowest position, adjust the overflow Rafts of the pressure regulating handwheel, the adjustment pressure can not be higher or lower than the pressure gauge shown in the range of optimum pressure for OMPA (100KG / 1cm2). Side bar - to enhance the rigidity of the pressure and play a role, each should be used before the fuel, from the lubrication. 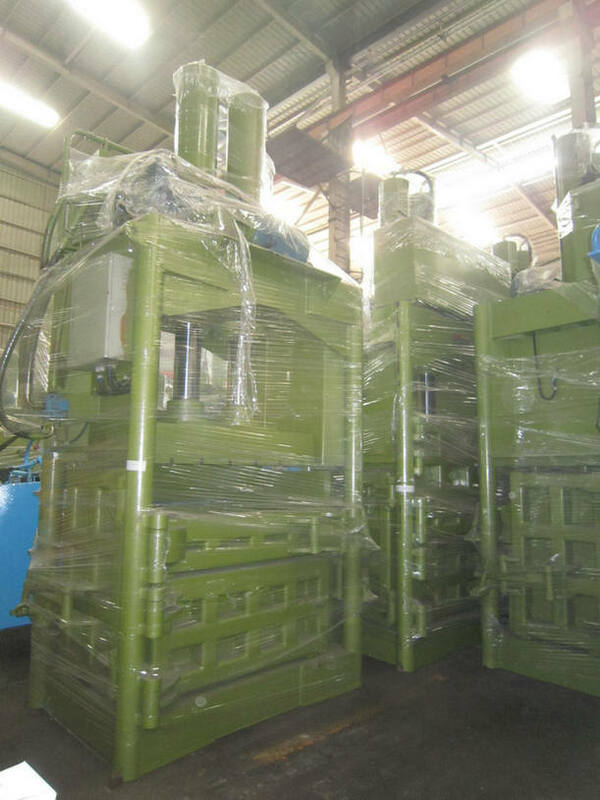 Stroke switch - to control the machine's start and stop the role, so often check, repair, maintenance. Manual steering valve - control the pressure plate up and down, stop the switch. 1, manual steering valve to play down when the pressure plate automatically down work, when the waste paper to a strong state, that resistance is greater than the pressure: the pressure plate can not be pressed down, the manual steering valve should be turned to neutral position, stop Pressurized, if the long-term pressure state, will lead to hydraulic, motor, pump for a long time in a state of overload and damage to the parts. 2, manual steering valve to the upshift position, the platen automatically rose to the highest position, controlled by the trip switch from the stop, then the manual should be turned to the neutral position. Complete a working procedure. 1, the machine must be placed on the concrete, the basic depending on the local situation. 2, check the bottom of the fuel tank is closed, to determine the closure and then open the top of the tank filling port seal. 3, the installation of the local power cord, voltage and frequency depending on the local power supply decision, (Note! Motor and electrical parts of the voltage and frequency of customer orders have been ordered to install the machine installed) conventional three-phase four-wire system, three With the power cord, respectively, into the electrical phase of the corresponding three wiring bits (Figure 7 left) and the other for the ground leakage protection line, should be exposed to the body exposed metal surface to prevent electrical leakage wounding. 1, access to power: the air box inside the air switch (the main switch) to close, first check the three-phase power supply voltage is normal, (with a meter or probe pen test) to close the electrical phase door, see the power of the door surface red power Whether the indicator light is on. 2, start the motor: the manual valve handle (pay Figure 3) down to the bottom (the body with the operation icon), and then press the button NO button (Figure 5 lower right), (Note: if installed There are emergency stop switch models, please put the emergency stop switch in the direction of the arrow, the emergency stop switch can pop up), (Figure 5 on the right) as normal under the motor start. 4, into the fuel of the key: When the pressure plate down the normal move, the pressure plate in the first move, the movement speed is not uniform. To be pressed to move to the bottom or move suddenly stop or move the noise increases, in which case the manual valve should be pulled up to the middle of the handle, stop the switch OFF or emergency stop switch, stop the motor run. And then carefully check the tank oil storage is sufficient, such as oil at the end of the fuel tank height of half, to prove that the amount of oil, then again should be injected into the tank appropriate hydraulic oil. The amount of fuel should be added to the bottom line of the oil level (red line) can be.